Friends of Michael Cohen have noticed that since Trump's Helsinki press conference with Vladimir Putin he's been more openly questioning Trump's fitness to be president. "It's one thing for him [Cohen] to be concerned about his suitability to be president," a knowledgeable source told me. "It's quite another thing to be concerned about his [Trump's] loyalty to his country." The source added that Cohen was sending a public signal to this effect when he tweeted, on Monday after Trump's Helsinki press conference: "As I said to @ABC @GStephanopoulos, "I respect our nation's intelligence agencies who determined that Russia, had in fact, interfered or meddled in our democratic process. I repudiate Russia's effort...and call on all Americans to do the same." 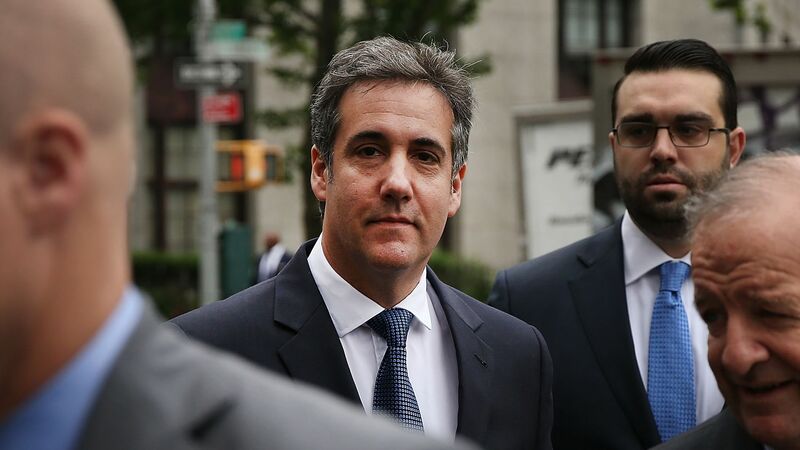 Why this matters: The Trump-Cohen relationship broke down a while ago, but now the investigation of Cohen is heating up — with the NYT revealing that Cohen secretly taped Trump — the two have dispensed with the public pretense of loyalty. The question of what Cohen knows about Trump is now a far more compelling question than it was in the days when Cohen would tell anybody who'd listen that he'd take a bullet — and, no doubt, lie — for his boss. Bottom line: When I texted Cohen today he declined several opportunities to deny he made these comments to friends. He told me he "cannot comment about someone's innuendo." When I replied to Cohen that the sourcing was solid and would he like to contest the way I was characterizing his thinking, he, revealingly, would not do so. Sneak Peek: Get more stories like this from Jonathan Swan by signing up for our weekly political lookahead newsletter, Axios Sneak Peek.